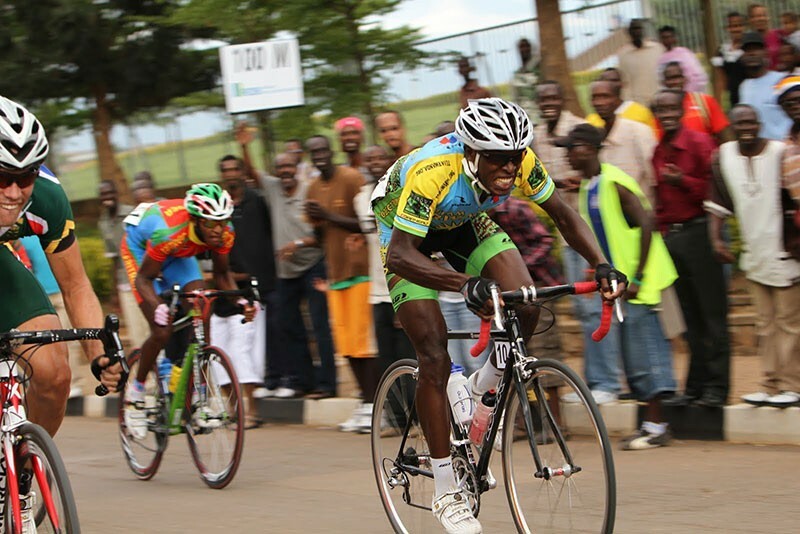 LOW GEAR The Rwandan cycling team deserves a better documentary. Rwanda is a desperately poor and tragic country, yet it's also quite lovely, like Oregon's Yamhill County. T. C. Johnstone's bland, patchy documentary Rising from Ashes fails to lend poetry to that beauty. Despite its inspiring subject, the film is ultimately interesting only to the most ardent long-distance cyclists. The film is about the creation of Team Rwanda, which Northern Californian bicycling phenomena Jonathan "Jock" Boyer organized with the help of pioneering mountain biker Tom Ritchey. Rising from Ashes tiptoes for a half hour around the "bad choices" that in 2002 landed Boyer in jail. Eventually we hear the bad news: lewd behavior with an 11-year-old. Forgiveness depends on forgivability. Though he's seen tenderly caring for his pets, Boyer has the 20/20 tunnel vision of any successful coach: his focus is on recruiting, cutting and training a team from Rwanda to compete in several serious international races before they arrive for competition at the 2012 London Olympics. The interviews are too frequently inexpressive, but you can't blame the reluctance of these athlete, who suffered unthinkable losses. First they survive the 1994 massacres; later, they're harassed by criminal countrymen who think they're wealthy celebs. Johnstone glances over but doesn't give us the sense of the races on the way to London, including the Cape Race in South Africa and New Mexico's Tour of the Gila. True, narrator Forest Whitaker gives a good, fast TED-talk on the history of Rwanda's tragedy: a catastrophe rooted in insane eugenics schemes carried out by the Belgian descendants of The Heart of Darkness' Mr. Kurtz. One roots for Team Rwanda to triumph, but Philip Gourevitch's account of the intrepid riders in a July 2011 New Yorker article is more informative that what we see here. And the prose is far more cinematic than Rising From Ashes, too. 'Rising from Ashes' opens Friday, Sept. 13, at Rialto Cinemas.